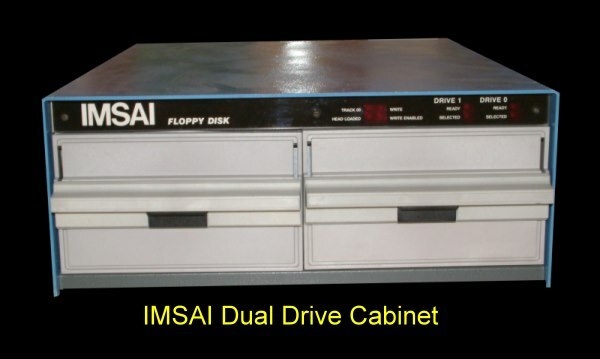 Like MITS/Altair at the time the IMSAI Floppy disk controller was spread over two boards. This was a time before the Western Digital 1771/1791 LSI FDC chip was available and such boards had to be made from simple 7400 type chips. These boards were designed to work with 8" IBM single density format on Calcomp floppy drives only. Unfortunately these drives were notoriously unreliable. There was a later controller (the DIO/PDS controller) that was used to work with 8" PerSci drives (and later more reliable 8" and 5" drives), single and double density. The two boards were called the "FIF". 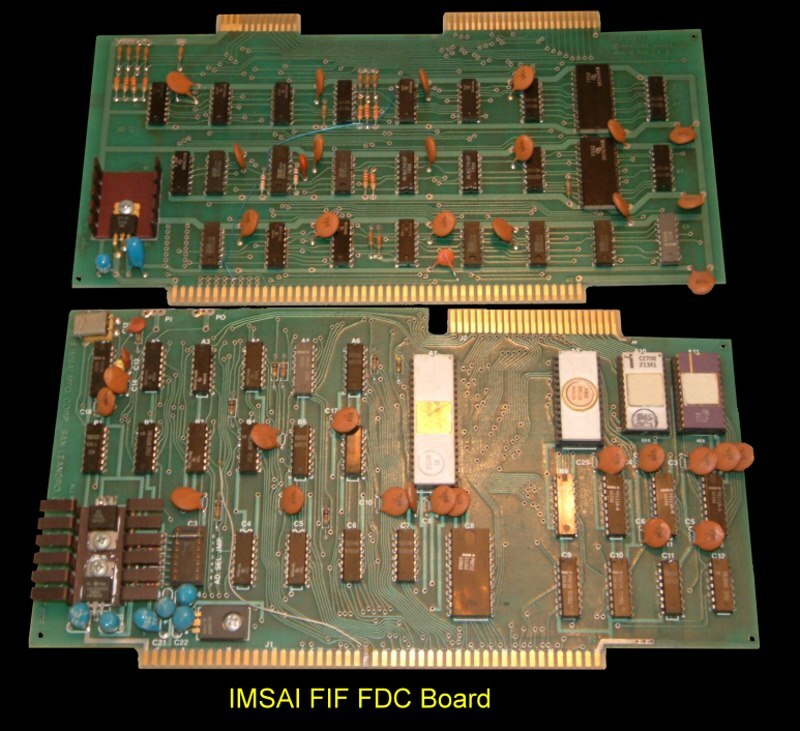 The FIF board was an interface/controller consisting of an IFM (Interface Master Board) and a FIB (Floppy Disk Interface board) which interfaced the disk to the computer. The combination of FIB and IFM boards created an intelligent controller with DMA transfer capability which permitted the computer to perform other tasks during disk operations. The IFM board used its own 8080A processor which was programmed to support the floppy disk system. The program was stored in 1K onboard byte EPROM chips and could be changed to support different data formats and densities on the floppy disk drives. Included with the boards was a disk bootstrap capability that reads and executes the contents of the first disk sector, allowing the disk operating system to gain control after turning on the computer. A single FIF interface will control up to four disk drives in a daisy chain signal bus, and could write-protect drives under software control. Commands included Read Clock and Data Bits, Write Sector, Read Sector, Verify Sector, Format Track, Write Deleted Data Sector Mark, Write Protect, Write Enable and Restore Drive. Logical and physical track addresses may be different. Cyclic redundancy checks were performed automatically. When an error was detected in reading or writing, the logic automatically retried up to 10 times. The FIF board was furnished with a cable to connect the board to the rear of the computer chassis and a second cable to connect the chassis to the Floppy Disk Drive cabinet. connected to each other and to a dual drive cabinet shown below. I have not yet located a manual for this board set. If you have one please let me know.